Over the past half-decade, she has effortlessly transitioned from an aspiring pop musician to the ultimate California girl, leaving an undeniable collection of hit singles in her wake. Those who doubted her staying power after “I Kissed a Girl” became the Song of the Summer in 2008 have watched her unique voice blossom into powerhouse pop superstar ubiquity, from setting Hot 100 records to launching her own fragrance and starring in her own 3D film. Her new tour “Prism” opened May 7th 2014 in Belfast. Braun Productions was hired to create yet another Iconic moment for the new show. Katy was searching for an aerial piece that would be featured during her hit song “ET.” Clearly the idea was to create a dramatic visual moment that would continue the “Prism” theme of the tour. 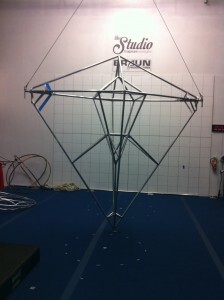 The initial concept was approved and a mock up version of the “Prism” was built to test and develop the aerial vocabulary that the performers would use during the show. This concept was completely original and had never been built. The unit would be required to suspend several performers and allow them to perform amazing aerial feats while thousands of individually controlled RGB pixel LED’s are being wirelessly controlled from the light board. That was no small engineering task! 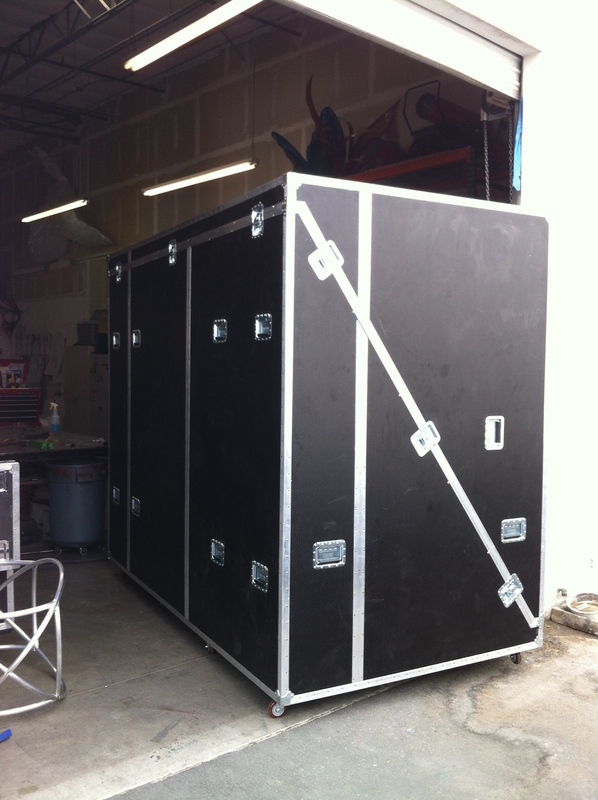 Once the mock up unit was built and safety tested in our private rehearsal studio, we shipped the unit to LA for Katy Perry’s Prism tour rehearsals. 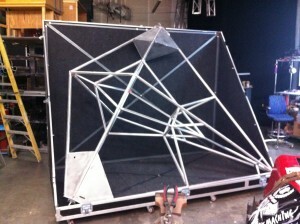 This allowed the cast and crew to rehearse while Braun Productions fabricated the actual “Prism” to be used on tour. 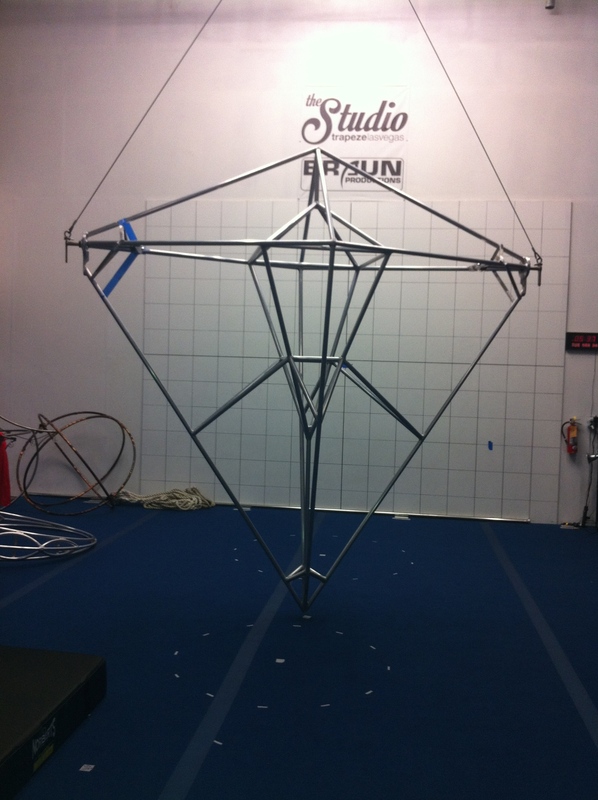 At the same time, our aerial experts worked with the show’s choreographers to develop movement that would be used on the rigging. 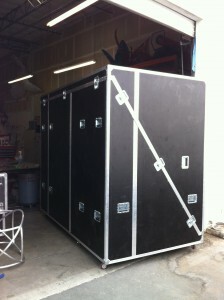 Once the LED’s had been installed, programmed, and tested, the entire unit had to be sealed using a special process that would maximize gripping ability of the performers and protect the LED’s encased in the unit. This was a tricky process that required many hours of research and development. 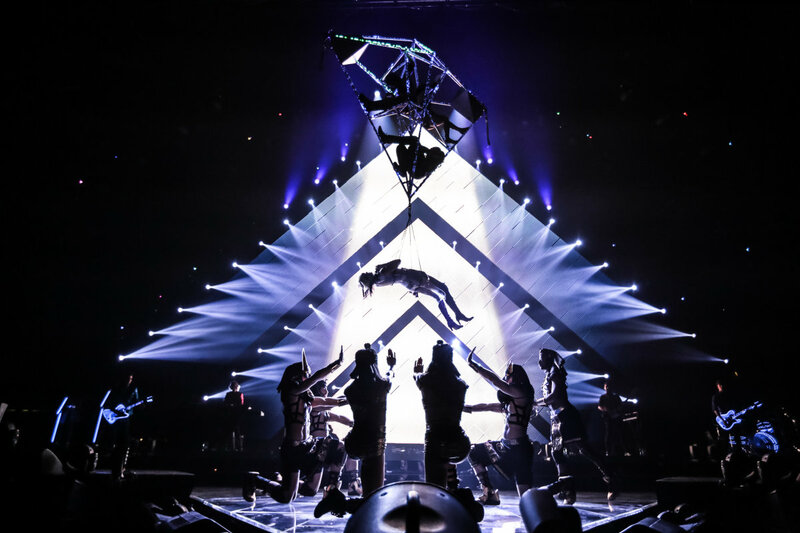 During the rehearsals in Los Angeles, Katy decided that she wanted to be lifted up in the air by the prism unit as if she was being abducted by the “Mother Ship.” Her vision was to create the effect that she was being pulled by her belly towards the sky. This was never a part of the original design or concept and Braun Productions was tasked with making it happen fast. Katy was concerned that if traditional harnesses were used, it might affect her singing ability as she sings 100% live throughout the entire show. This was very important to her. It was important to find the right position that would comfortably allow her to sing while being lifted in the air. 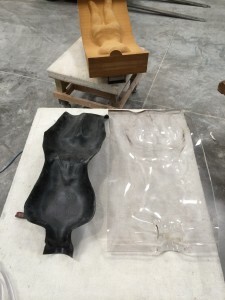 Of course with safety being the top priority, Braun Productions laid out a design by which she would be cradled in a real life body cast. It was the perfect solution. Braun Productions had Katy’s entire body scanned from head to toe using the most sophisticated imaging technology available. The computer scans were then used to create a positive and negative wooden mold of her actual body. These molds were then used to shape the thick layer of polycarbonate. A sheet of polycarbonate was sandwiched between the molds and baked for a couple of days inside of a massive 480 degree industrial oven. 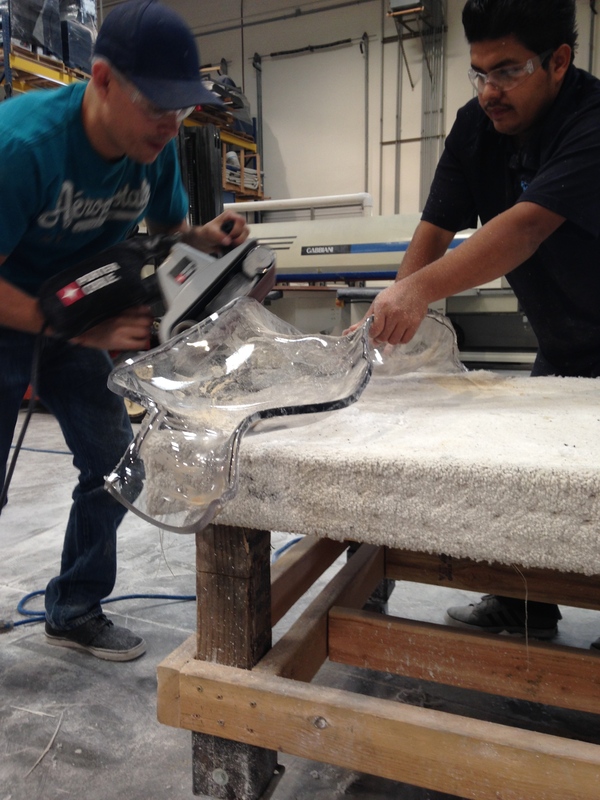 This process allows the polycarbonate to melt and form to the exact shape of Katy Perry’s body. Once the form is cooled, the trimming, polishing, and finish can be done ultimately producing the required life cast that will safely carry the pop superstar skyward. The final product is rigorously safety tested. 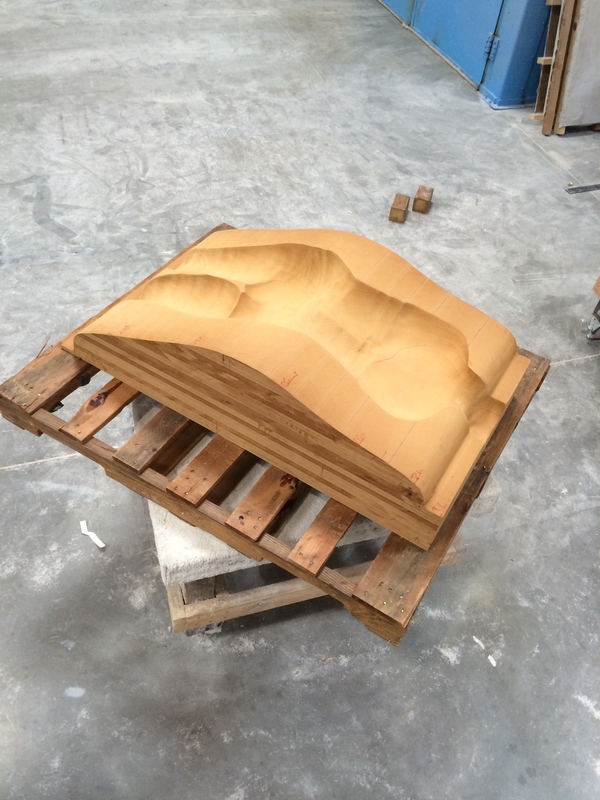 We ensured that the unit would hold no less then 15 times it’s weight. 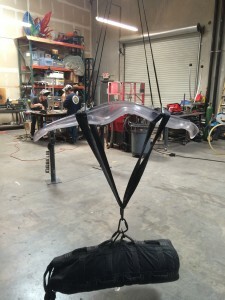 In our strength tests the unit finally broke at about 4,500 pounds which is far more than would be required to lift the 128 pound Katy Perry. Safety is priority number one with Braun Productions. We personally test, fly, and rig everything we build before it is shipped. 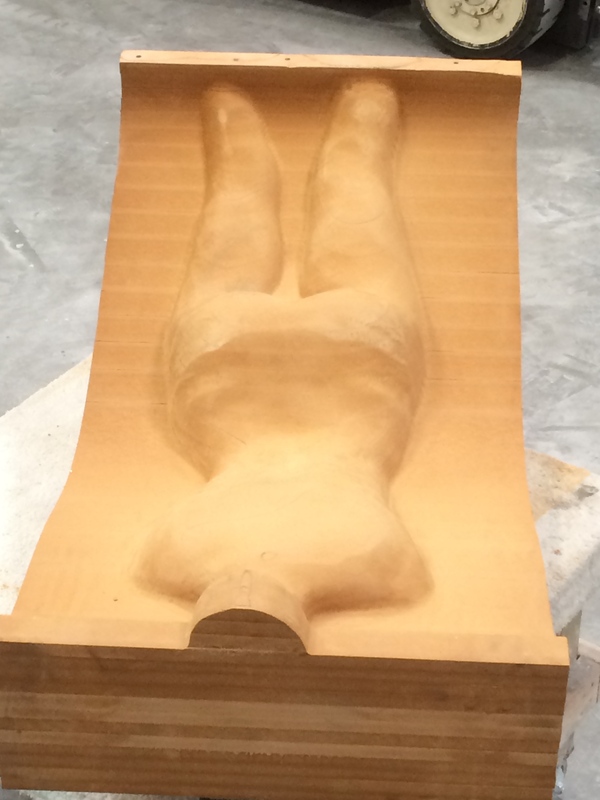 Here we show the final custom made body form that Katy will use to fly; perfectly molded to her body. It’s comfortable enough for her to sing in while being lifted sky high. 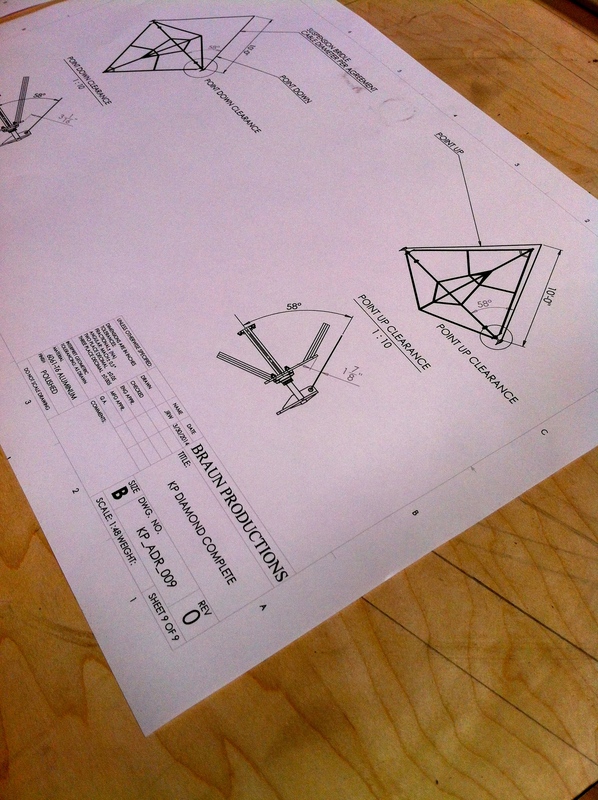 The final step is yet another safety test to ensure it’s secure, purposefully built, and ready for use in live performances around the globe. 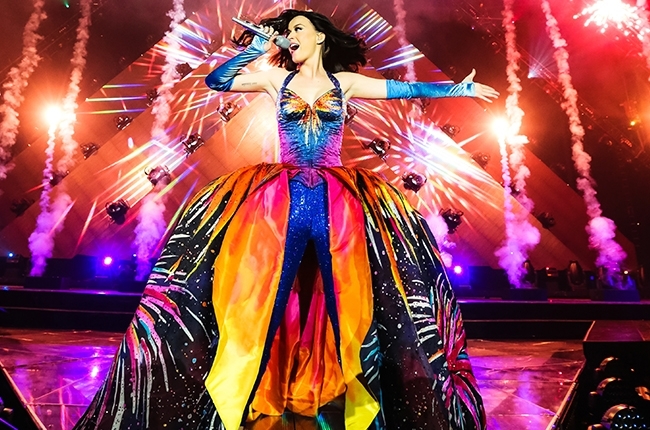 The Prismatic World Tour is the third concert tour by American singer Katy Perry, in support of her fourth studio album, Prism (2013). The tour began on May 7, 2014 in Belfast, Northern Ireland at the Odyssey Arena. The first leg will also contain performances in Scotland and England that month. From June to October 2014, the second leg will take place in the United States, Canada, and Mexico. A portion of the money generated from tickets for the second leg of the tour will go to UNICEF, Autism Speaks, St. Jude Children’s Research Hospital, and Susan G. Komen for the Cure. The third leg will take place in Oceania from November to December 2014. We wish her well and look forward to working again with Katy on her next venture around the world.